3 Beds 3 Baths 1 Partial Bath 1,716 Sq. 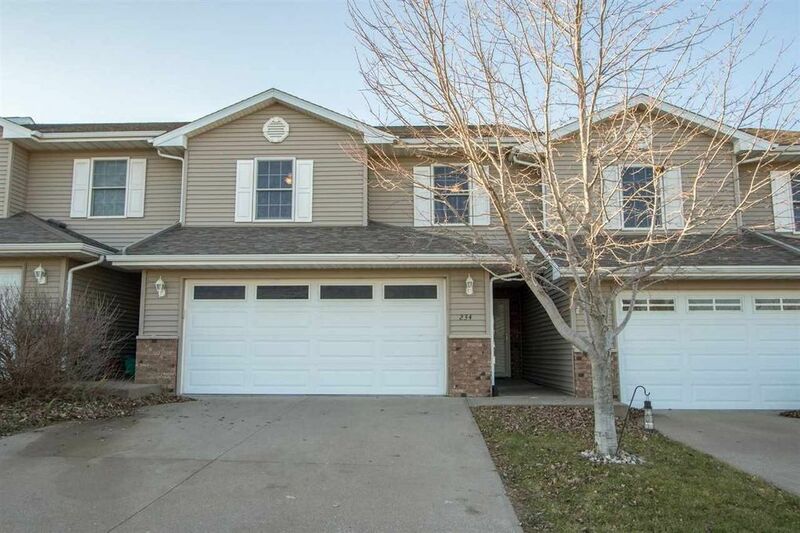 ft.
Great opportunity to own this fantastic 2 story style condo located in a great West Branch neighborhood with 3 large upper level bedrooms and some wonderful amenities! Special features include a cozy fireplace with a designer stone surround and mantle; functional kitchen that boasts white painted cabinets, butcher block countertops, pantry cabinet, all appliances including a Samsung refrigerator, large dinette and luxury vinyl plank flooring; Andersen windows; white panel doors and brushed nickel hardware along with painted trim; main level powder room; laminate wood flooring throughout; 2nd floor laundry room with washer/dryer; plumbed for central vacuum system; tremendous 15x19 master suite with an 8 ft. deep walk-in closet and full bath; and a 24 ft. deep 2 car garage! Recent improvements include painted cabinets throughout; wainscoting in the kitchen; butcher block countertops; stainless steel apron sink and faucet; LVP flooring in the kitchen and dinette; dishwasher; stone fireplace surround and mantle; painted stairway and carpet runner; whole house painted; tile work in the master bath; wood blinds in the living room and master bedroom; and laundry cabinets. Directions: Main St. to Pedersen St.